Apart from the UK general election, GBPUSD is still under the influence of Brexit issue. The support rests at 1.26900 with resistance at 1.27990 which both lines are below the weekly pivot point at 1.28590. The EMA of 10 is moving with bearish bias along the descendant channel and it is below the EMA of 200 and the EMA of 100. The RSI is moving horizontally in oversold area, the Stochastic is moving in low ranges and MACD indicator is in neutral territory. The ADX is showing sell signals. 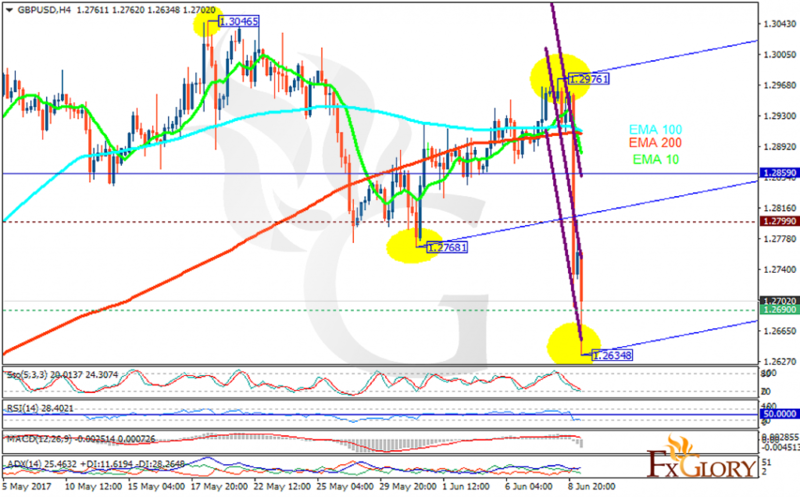 GBPUSD had a sudden drop towards the support area however, the correction pattern will start soon targeting 1.28 area.